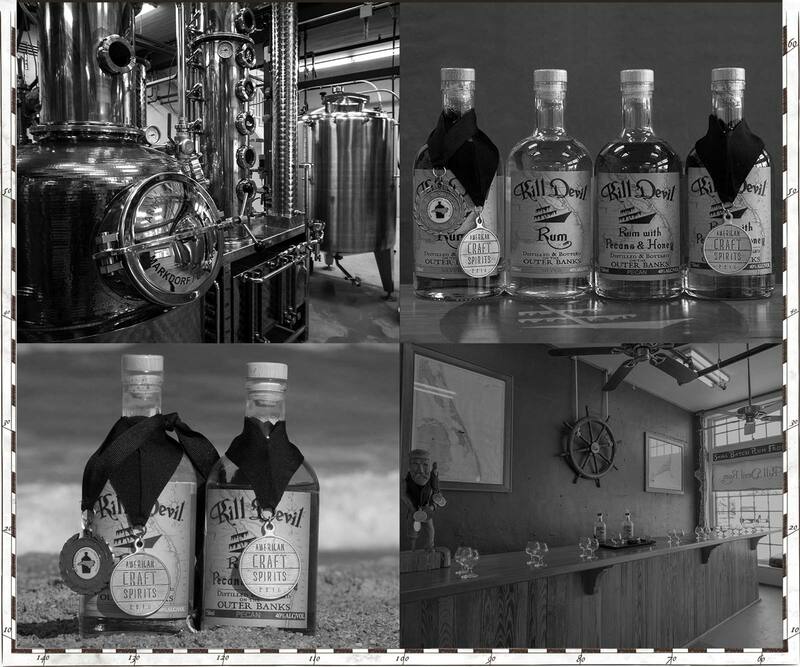 Outer Banks Distilling is the first legal distillery on the Outer Banks of North Carolina, making their mark by distilling small batch rum from the Graveyard of the Atlantic. 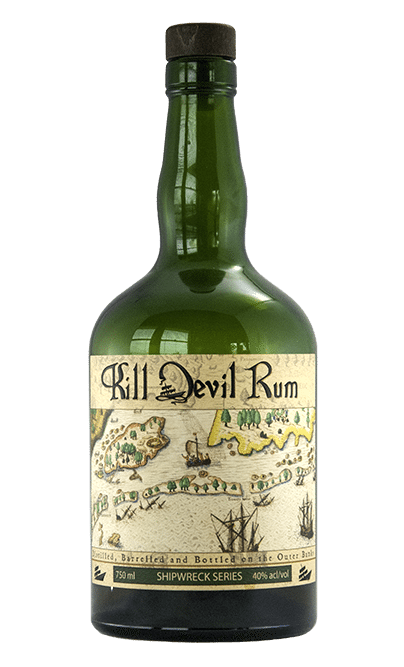 Located in historic downtown Manteo, we offer Kill Devil Rum tastings and tours on site, where you can purchase your own bottle of our award winning rum (limit 5 bottles per customer, per year, NC Law). 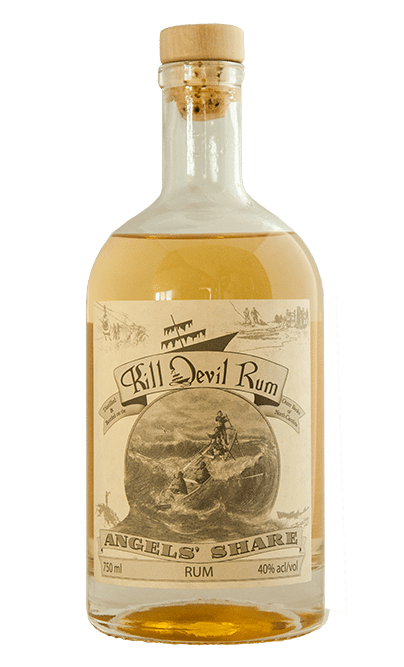 Kill Devil Rum is also available for unlimited sales in North Carolina ABC liquor stores (NC product codes: Silver-66-600, Gold-66-605, Pecan-66-603), and now by request in Virginia ABC liquor stores (VA product codes: Silver- 953732 and Pecan-Honey-075201). Don’t live in the area? You can purchase online at cellar.com. Our core lineup of rums, available year round. 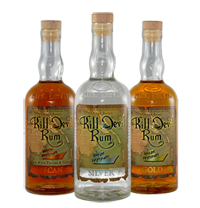 Includes our award-winning Silver Rum, Gold Rum and Pecan Honey Rum. Our shipwreck series of small batch rums features rum aged in unique barrels crafted from a variety of ingredients. Different styles of molasses, sugars, and barrels are used to highlight the versatility of the spirit for each offering in this series. 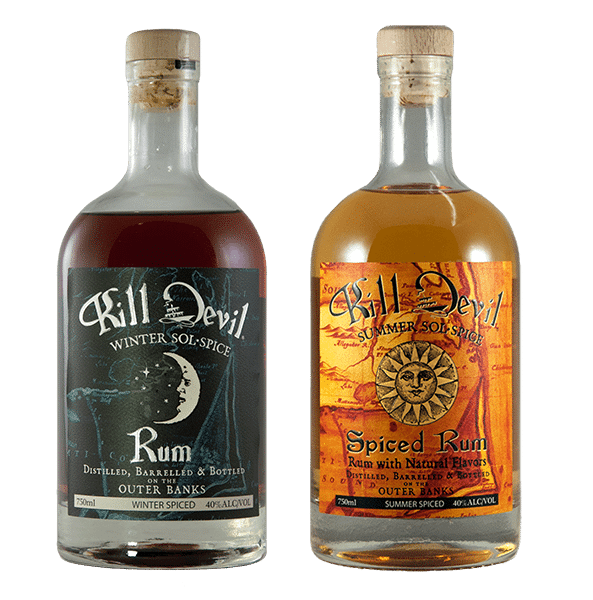 Uniquely spiced seasonal rums paying homage to the Summer and Winter Solstices, featuring a blend of varieties of molasses, spices, herbs and fruit. We barrel and age these rums, then spice prior to their release. A limited edition series crafted annually, proceeds from each Angel’s Share rum sale go directly to help a local organization or charity. We offer a tour of the distillery for $10 per person, Tuesday-Saturday at 1 pm. You must be 21 years or older to participate, and must reserve your spot in advance. Private tours are available for groups of 10 or more upon reservation. Parking is available on-street or in public lots throughout Downtown Manteo.